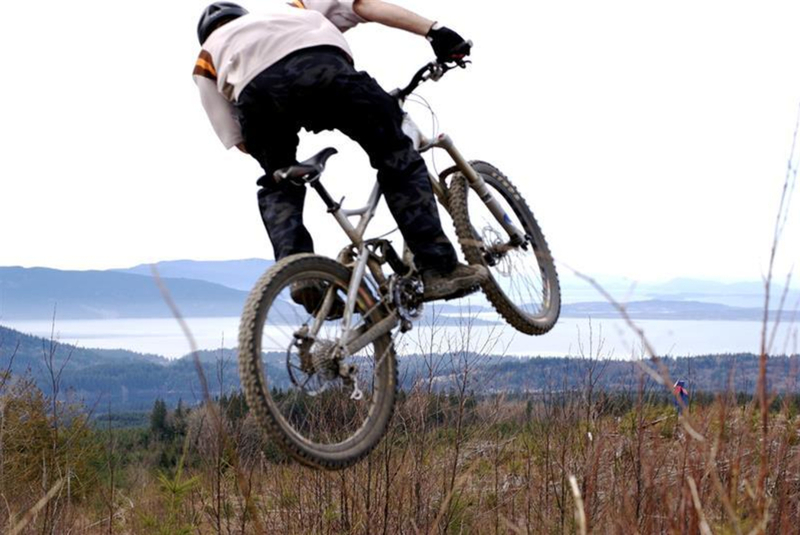 The South side of Galbraith is some of the most sublime and technical downhill riding in the Northwest, possibly the country. You've probably heard of Galbraith. Seen it in magazines. Seen it in professional edits. Heard anyone who rides in the Northwest talk about it. But none of that equates to riding Galbraith. The mountain we love so much has upwards of 100 different trails and service roads, and that seems to grow every season. So we split Galbraith in half, a North and South side, to differentiate between the two types of riding found on each side of the mountain. 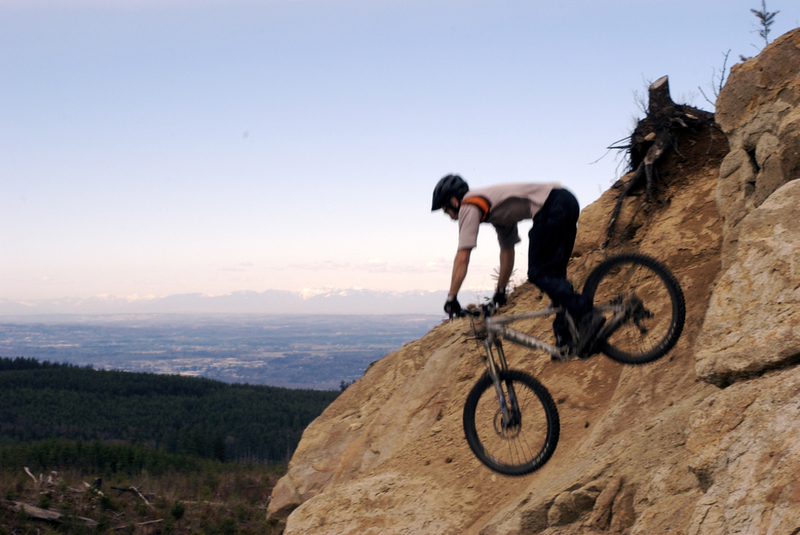 The South side of Galbraith Mountain is the downhill rider's playground. 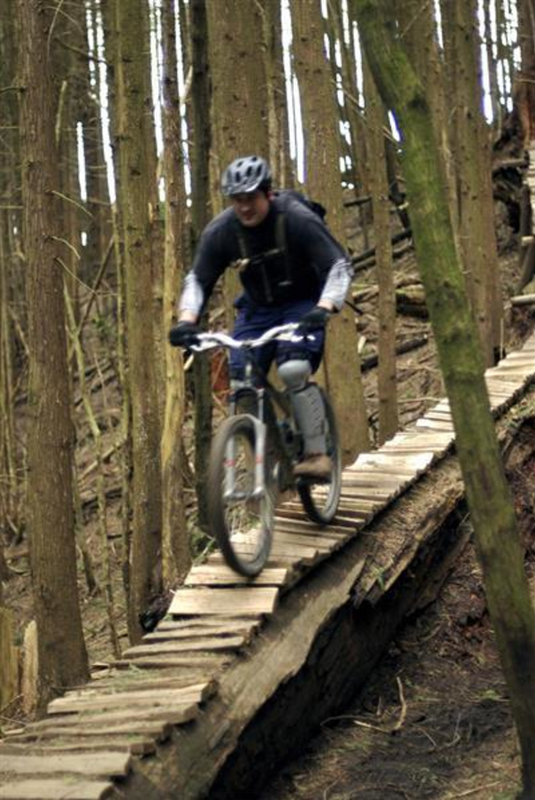 Whistler Ski Mountain tends to draw a lot of crowds - and rightfully so - to its summer downhill mountain biking. 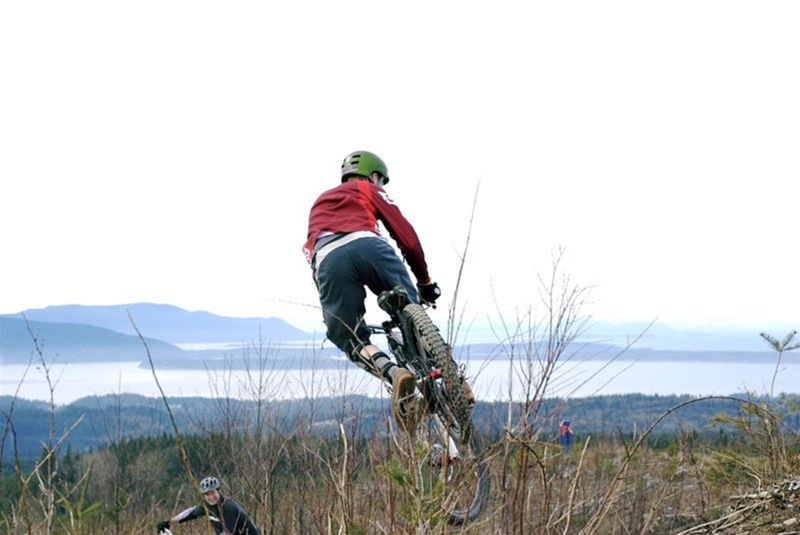 Here at Galbraith, you get all that insane downhill, without any of the Whistler crowd. This is a rider's mountain: no chair lifts. You earn your turns. The South side is full of features, small and large gaps, table-tops, step-downs, etc. 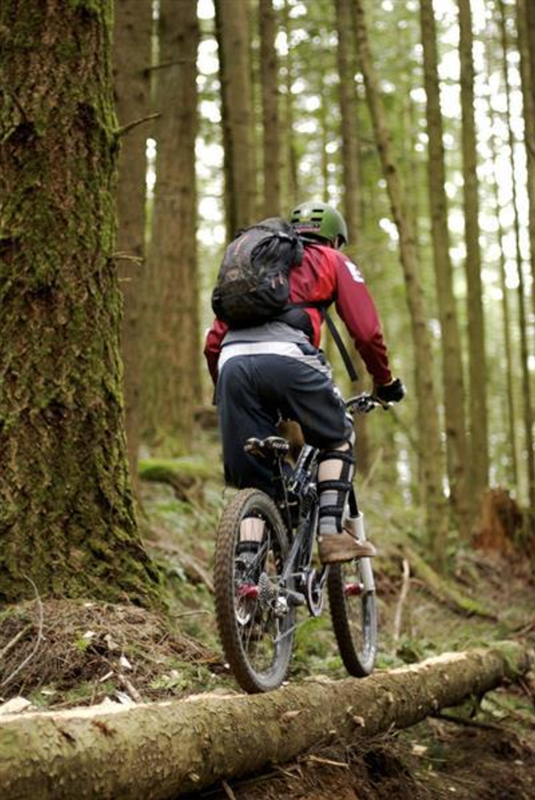 There is a lot of trail variance, including some man-made trails, and some machine-made trails. 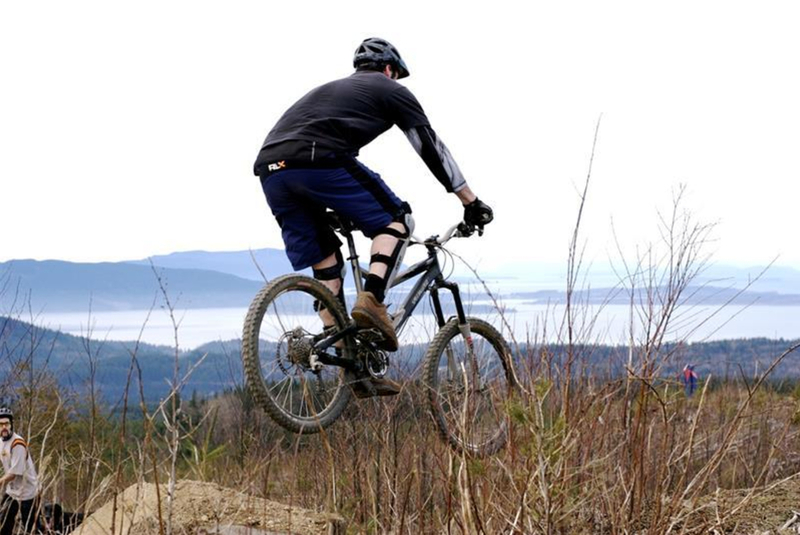 Primarily the downhill side, there is still some single-track climbing: in fact, it's encouraged to mix it up from the awkward 'too-steep-to-sit-down-but-not-steep-enough-to-stand-up' riding up service roads. Let's begin. So many options: here's one. From the Padden Trailhead Parking lot off of Samish Way (past Lake Padden), cross over the road and start heading up Galbraith Lane. Take the right turn on Tower Road, go through the gates, and take Brick trail at Kiosk A. This is the beginning of 3 trails called "The 3 Pigs." Take Brick until you cross over onto Stick, and then the same onto Straw. These 3 are the alternative to going up the service road 2000: it's a good warmup, keeps the technical skills in shape, and is simply much more interesting than a service road. After Straw takes you to a service road (3000), which you can ride all the way up to the Galbraith summit. This is also known as going from Blue Rock to Red Rock to Yellow Rock, as a way to help learn the signs on the mountain. As you go up Rd 3000, take the right at Red Rock, and stay on 3000. A left a Yellow Rock (and left at the lesser known Silver Rock) keeps you on 3000 and to the summit. Here's where the fun begins. Take Stinger and drop into Evolution. Evolution is steep and tough, and definitely advanced (those looking to cut out Evolution can take either of the downward options between Red and Yellow Rock off of Rd 3000). Evolution drops you back onto Rd 3000 - head towards Yellow Rock again for a couple seconds and you'll see Unemployment Line. 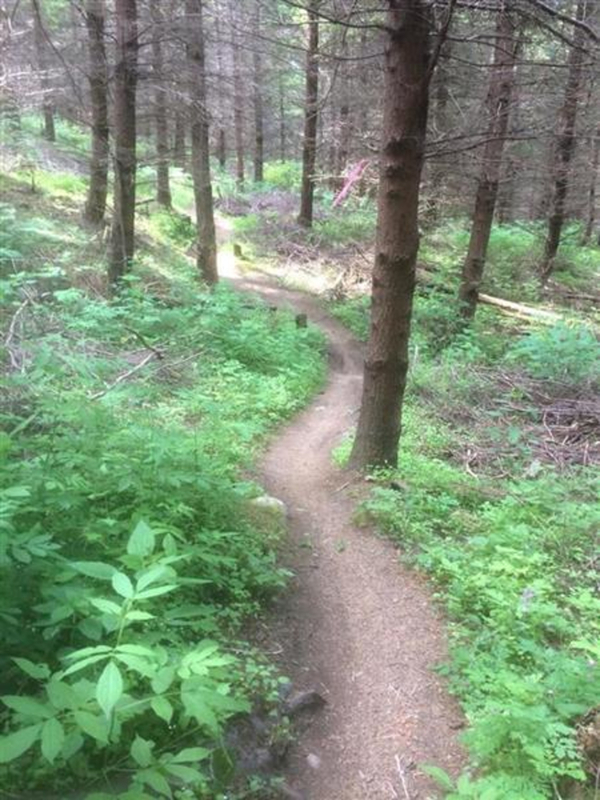 This trail is great for all levels: fast, push-it riding for the experienced, and awesome learning for those new to downhill riding and features. After Unemployment Line, head down Rd 2300 until you get to Atomic Dog. 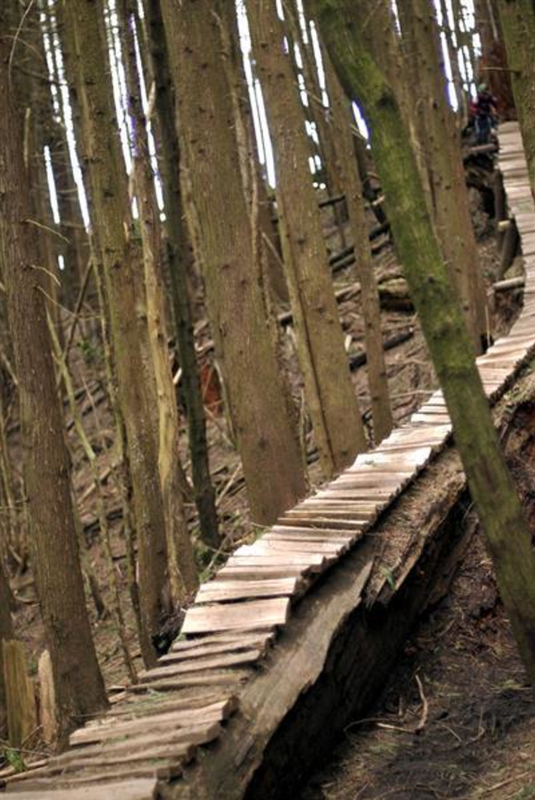 This downhill will take you all the way to the gates at the bottom. Atomic Dog is similar to Unemployment Line, and great for all levels. It's very natural, flowy, and technical, all at once. This whole loop, up then down, takes about 1.5 - 2.5 hours. 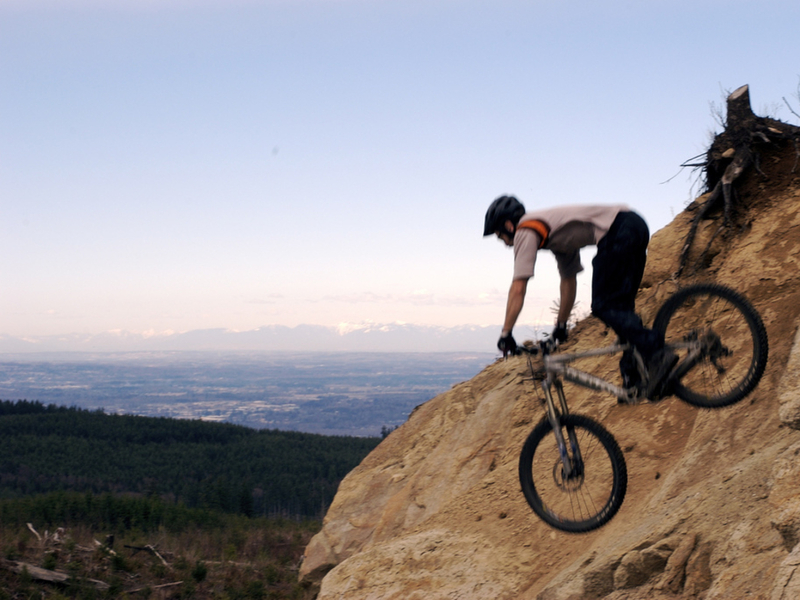 The South side of Galbraith Mountain is the downhill rider's playground. 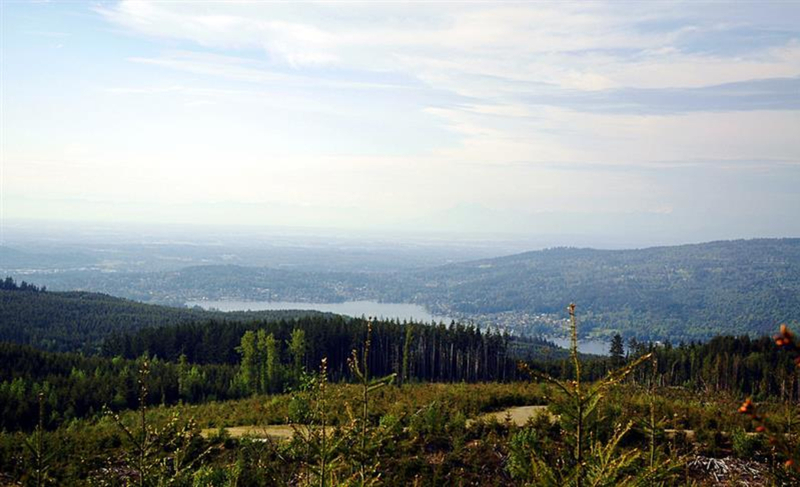 The Samish Way / Padden Trailhead, from Bellingham, is at the top of the hill, east and above Lake Padden (you'll pass the park entrances). It takes about 10 minutes to get there from downtown. Take Samish Way east from its inception until you see the Padden Trailhead on the right, and Galbraith Lane is fifty yards ahead on the left. Park, then head up Galbraith Lane. Depending on your trails, taking the right on Tower Road will take you to Kiosk A, and continuing straight will take you to Kiosk H. Heading north or south on I-5, take exit 252. Coming from the north, you will need to cross over the interstate, and take the right on Samish way as it bends east. Coming up from the south, take the exit to the stop sign, and take a right (east) from there. Maps can be purchased at local bike shops (Fanatik, Kulshan, and more) and REI, as well as running stores (Klicks) in Bellingham. They are 14 bucks, but incredibly detailed and accurate, and printed on waterproof paper, so they are safe to ride/run with. We highly, highly, suggest you bring a map with you on Galbraith.